I noticed that redstone torches that are placed on the wall look like they are off, (look picture) the particles still work tho. I'm using 512x512 vanilla bdcraft. well it may not be a bug but the description of bug reports says odd,buggy or missing. this is odd and it looks ugly imo, everyother recourcepack doesn't have this. but ok tnx then, just shows more about the developers of this texturepack. The point of VanillaBD isn't meant to necessarily fix anything in vanilla, it's meant to just put a BDcraft style over the default assets. Where PureBDcraft takes liberties with colours and shapes, VanillaBDcraft keeps the original feel of Minecraft whilst following the design of PureBDcraft. In that respect the original feel of vanilla Minecraft is occasionally, as you put it, "ugly", but that's on Mojang. VBC isn't there to fix their mistakes, that's more for PureBD. how is it their mistake if its only in this texturepack and not in the vanilla texturepack? 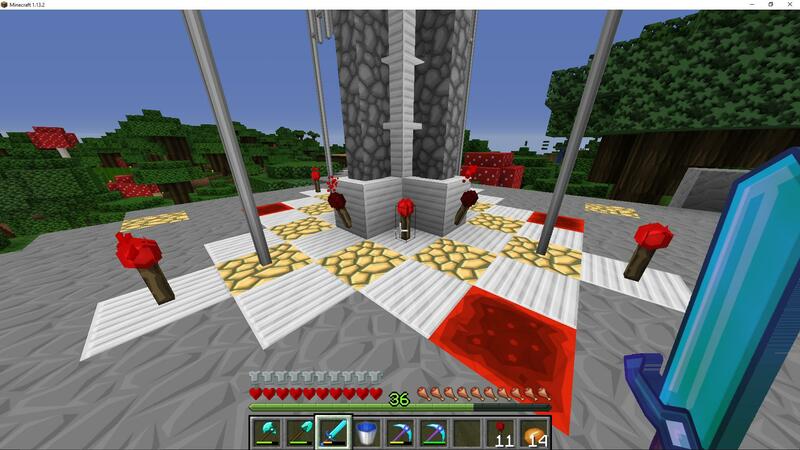 in terms of ugly its because my radiotower looks weird with some torches on and some off, it shouldn't be like this. its odd. Regardless, this is fixed now. Please redownload the pack.